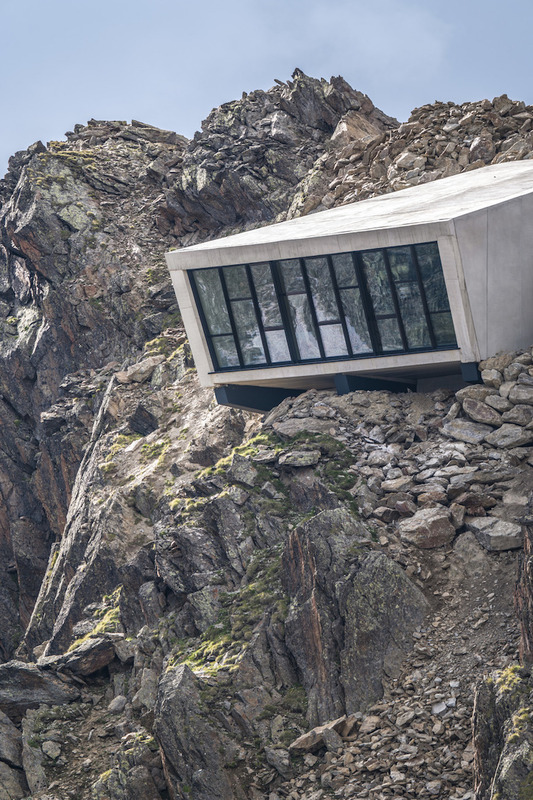 Perched high in the Ötztal Alps, a cantilevered lair houses a new exhibition that celebrates James Bond. 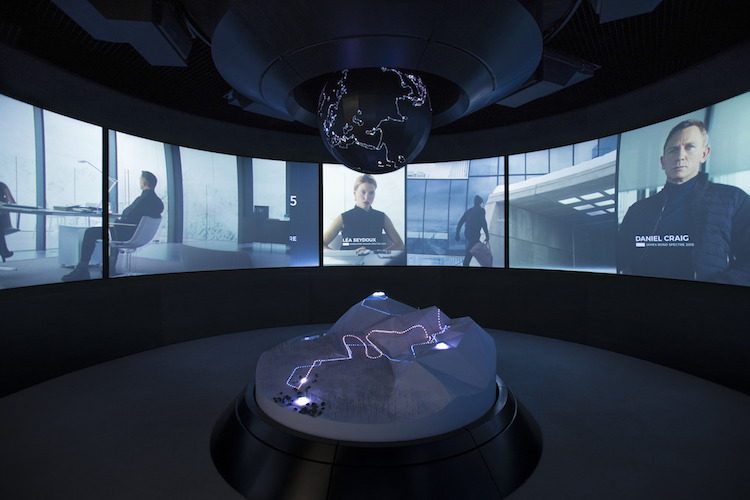 Located on the summit of Gaislachkogl Mountain in Sölden, Austria, the museum marks to the location of the winter action sequence in 2015’s Spectre. And at an altitude of nearly 10,000 feet, it’s one of the highest museums in the world. 007 Elements is a joint venture between Bergbahnen Sölden, the cable car company that brings visitors up the mountain, EON Productions, and MGM Studios. Austrian architect Johann Obermoser was brought on board to create the perfect location for the exhibition. He’s also responsible for the ice Q restaurant located at the top of Gaislachkogl, which was used as the Hoffler Klinik in Spectre. 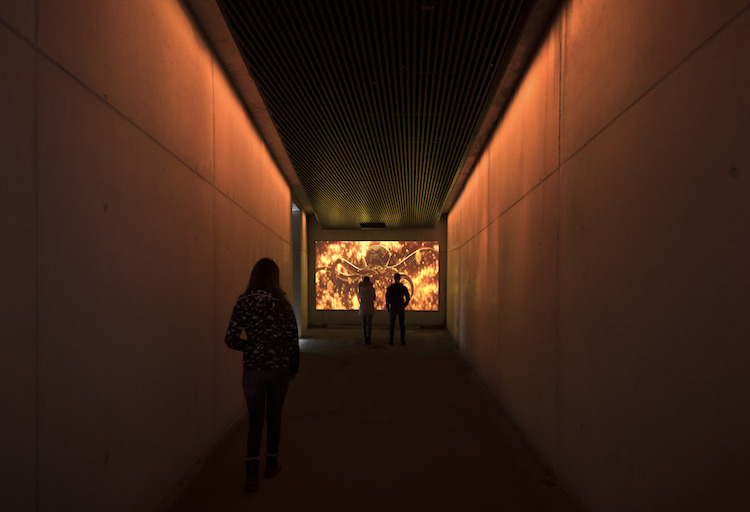 For the museum, Obermoser focused on creating a visual connection between the interior displays and the exterior locations used in the film. Collaborating with Neal Callow, art director of the last four Bond Films, Obermoser designed seven free-form concrete structures embedded into the mountain and connected by ramps. 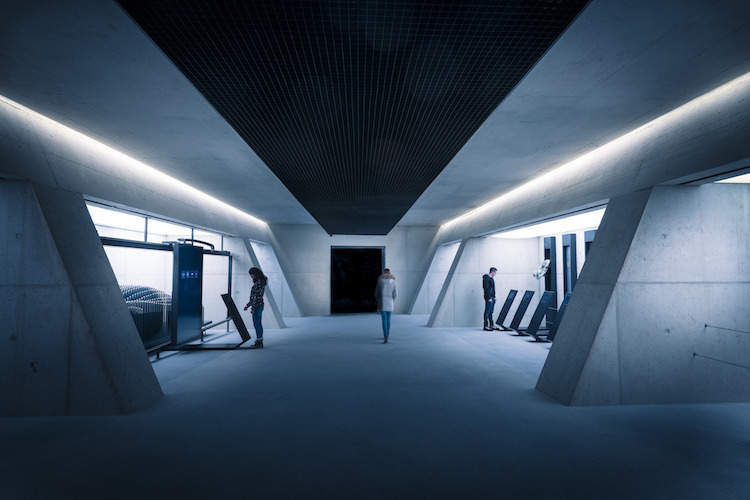 These areas house different galleries, such as the Briefing Room, Lair, and Tech Lab, that bring specific Bond concepts to life. As snow falls and ice forms, only the entryway, exit, and projecting windows will remain visible. This decision to keep the structure muted and integrated into the environment while retaining sharp, geometric forms, is a nod to legendary James Bond set designer Ken Adam. 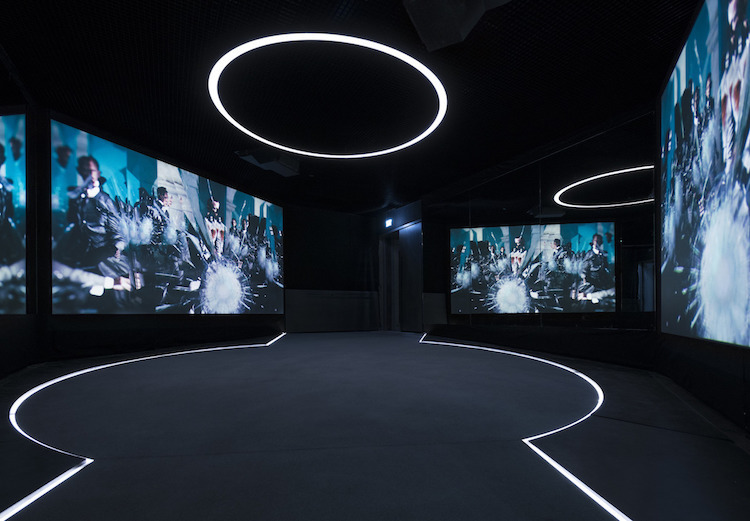 Visitors move through different rooms, which collectively narrate the experience of creating a Bond film. 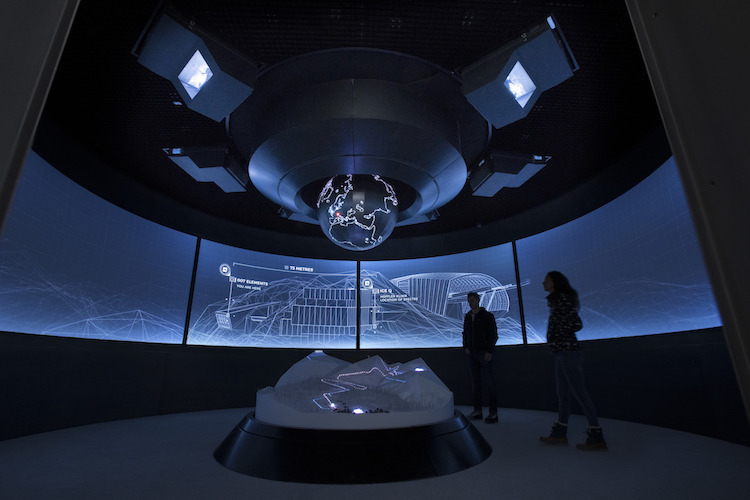 Callow worked together with head of design Tino Schaedler to design the 007 Elements exhibition concept. “Our aim with 007 Elements is to tell the story of the making of 007 films in an ultra-modern, emotive and engaging way,” Callow shared. Timed tickets to 007 Elements are available online. The site is accessible from the village of Sölden via cable car. 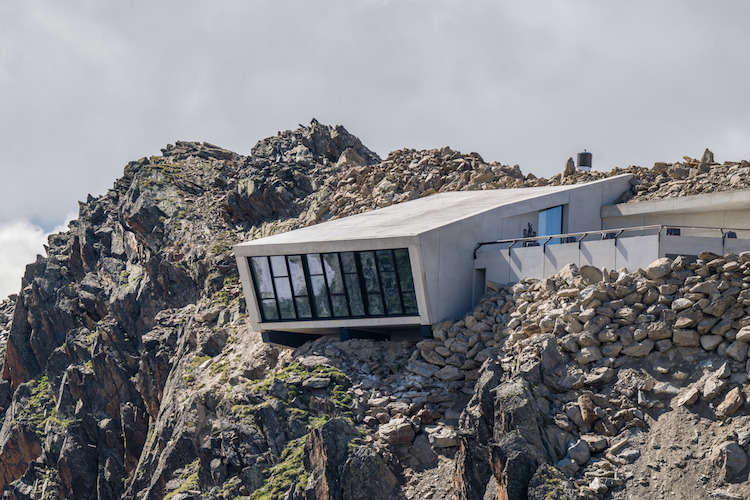 This cantilevered lair in the Austrian Alps by Johann Obermoser houses a new interactive museum about the history of James Bond movies. 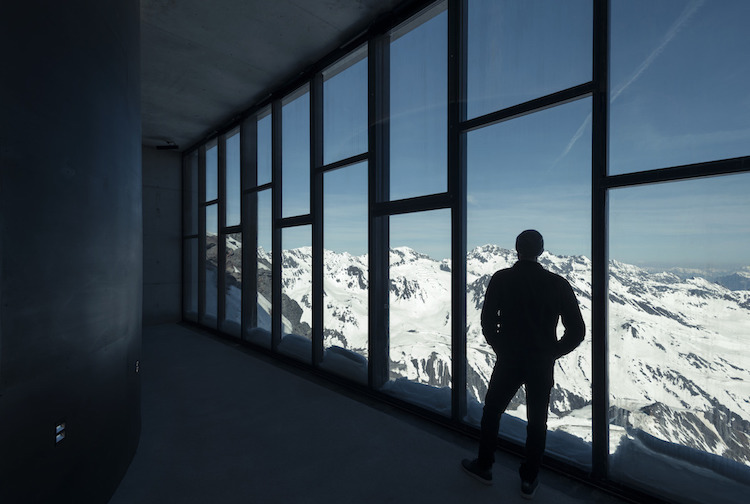 Visitors are given panoramic views over the mountains, which were key locations in 2015’s Spectre. 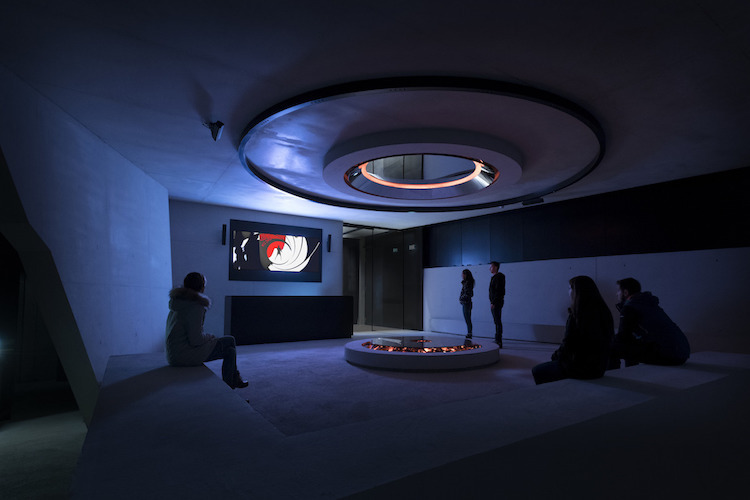 Galleries built into the mountains allow visitors to learn about the experience of making James Bond films. 007 Elements: Website | Source.